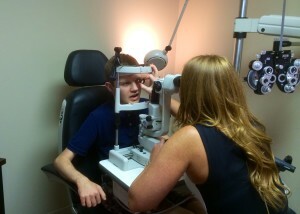 For the best eye care in New Oxford, contact Hockman Family Eye Care. We provide the most recent and relevant care and information regarding your specific vision concerns and needs. Our licensed Optometrist encourage preventative care by promoting nutrition and hygiene education to minimize the risk of eye disease. Comprehensive Eye Examinations include checks for glaucoma and cataracts. Contact Lens Evaluations and Fittings. We also teach new wearers! Extensive line of affordable and designer frames for every member of your family. Please contact Hockman Family Eye Care if you would like additional information or if you have any questions about our services or hours. Our friendly staff would be happy to speak with you!